It’s time to upgrade your little guy’s space with a design that both of you will LOVE! 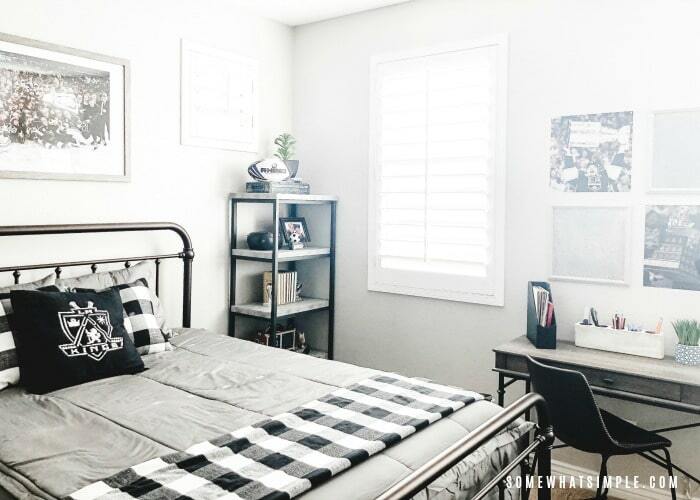 Take a look and see how we created a boys bedroom that is simple, practical, and totally his style! 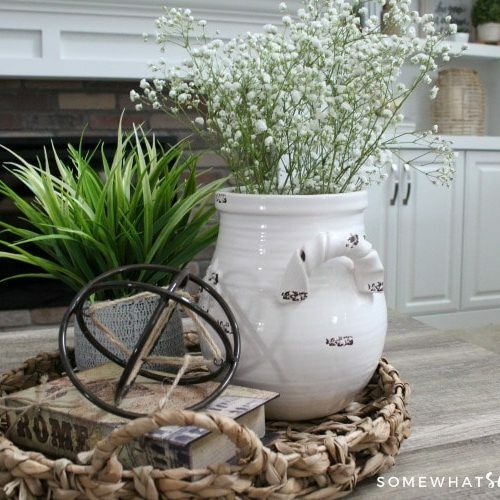 This post is in partnership with American Furniture Warehouse. All opinions are my own. I’ve been working my way through furnishing and designing each space in our house, one room at a time! 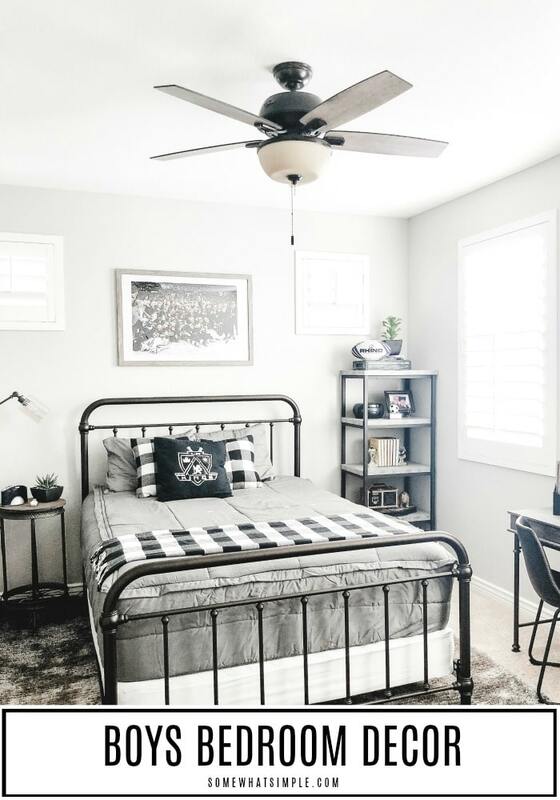 If you’re following along with our #SimpleSpacesChallenge, you’ve already seen Ethan’s Room, Leah’s Tween Bedroom and our fun Teen Loft. 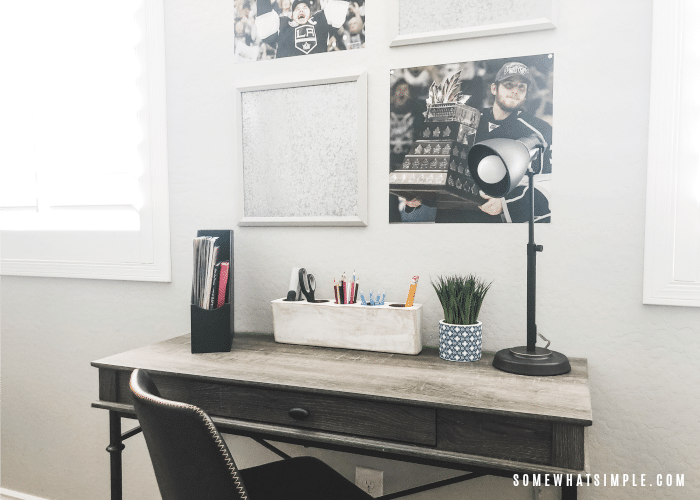 Today I want to show you how I designed Ryan’s room – a space that totally makes both of us smile! 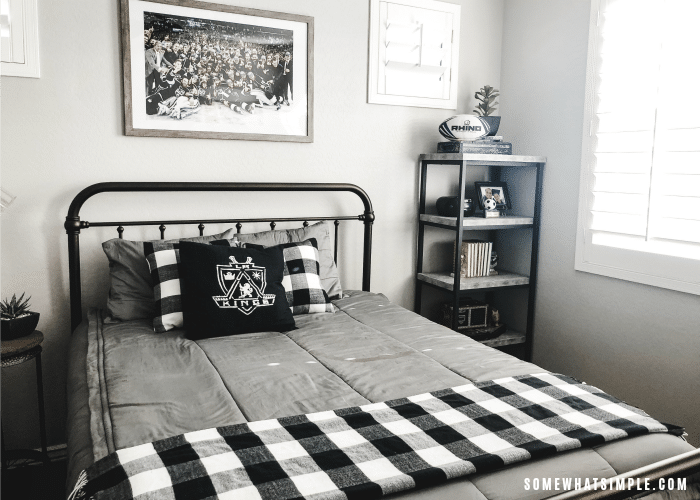 If you’ve been watching my Instagram stories this past month, you’ve seen some of the details on how we split our boys shared Hockey Room into two spaces that they can each enjoy on their own. 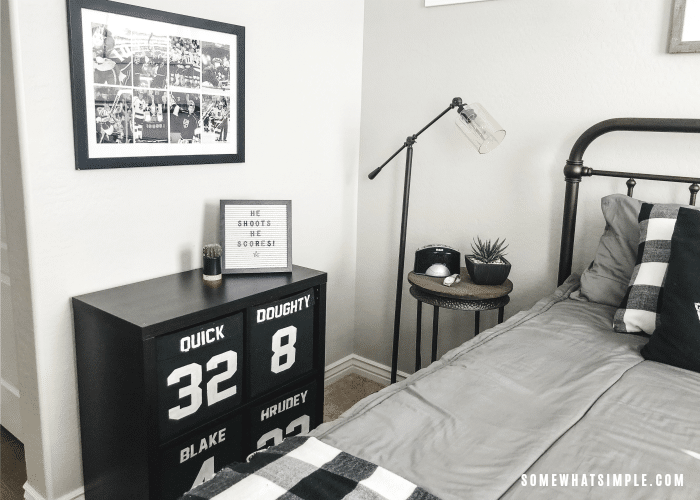 I shared Ethan’s Room last month, and today I’m here to show the full reveal of Ryan’s room! Keep some of the hockey stuff from his last hockey bedroom. Get a queen sized bed. 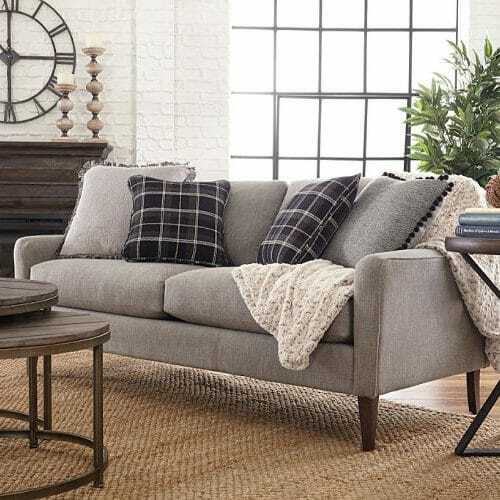 We’ve partnered with our friends at American Furniture Warehouse for the furniture and accent accessories for this space, and it all came together so well! 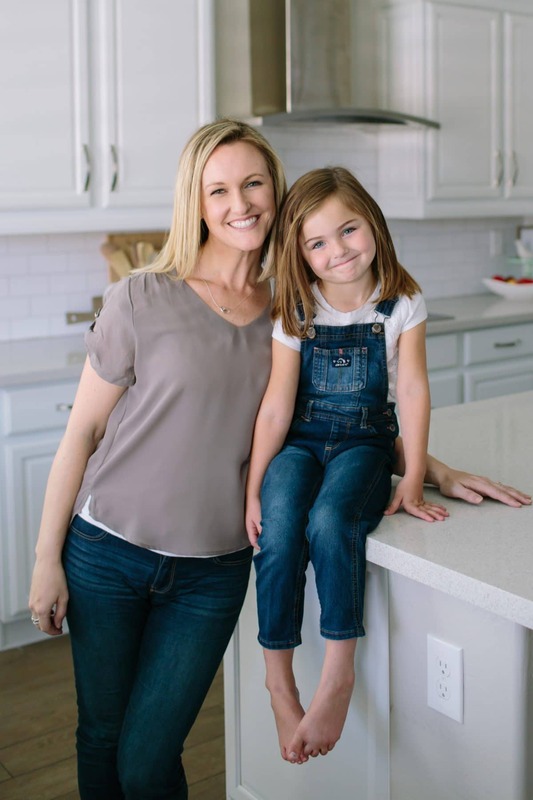 Not only does American Furniture Warehouse have an amazing product selection with affordable prices, I just wanted to mention how much I LOVE the staff at the Gilbert, AZ store. The sales representatives, the cashiers and the warehouse guys are seriously so friendly and helpful! 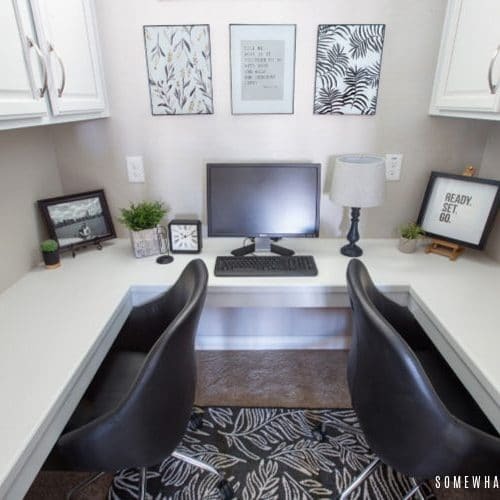 *All the furniture and decor that we used in this space will be linked at the end of this post. So without further ado, here is Ryan’s bedroom! Such a fun space, right? First, let’s talk about the bed! I have had my eye on this bed for several months now – I just LOVE it. I love the industrial feel, and I love how solid and sturdy it is. When I showed this bed to Ryan online, he didn’t love it. In fact he didn’t like it at all. Because this is his room, I definitely wanted him to pick a bed he loved… no matter how much it crushed me to walk away from this one. And suddenly all was right in the world again. 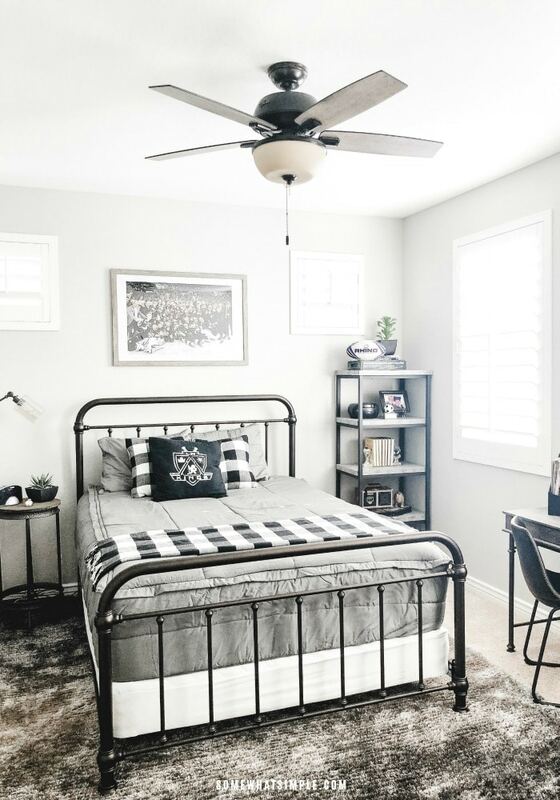 He chose the most comfortable bedding ever – Modern Gray zip bedding from Beddy’s. 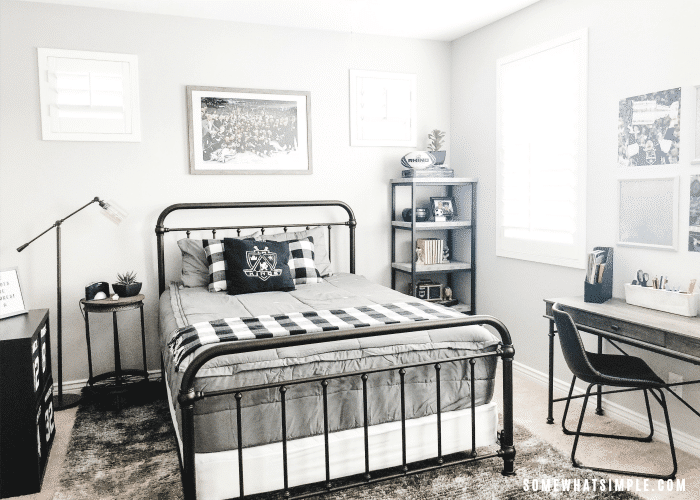 3 of my 5 kids have been using Beddy’s Zip Bedding for 3 years now, and while they do cost more than I would normally spend on bedding for my kids, I’ve come to realize they are worth every penny! The bedding we have had for 3 years still looks brand new. Beddy’s are easy to wash and ours have held up perfectly! Beddy’s zipper design makes it incredibly easy for my kids to make their beds each morning. 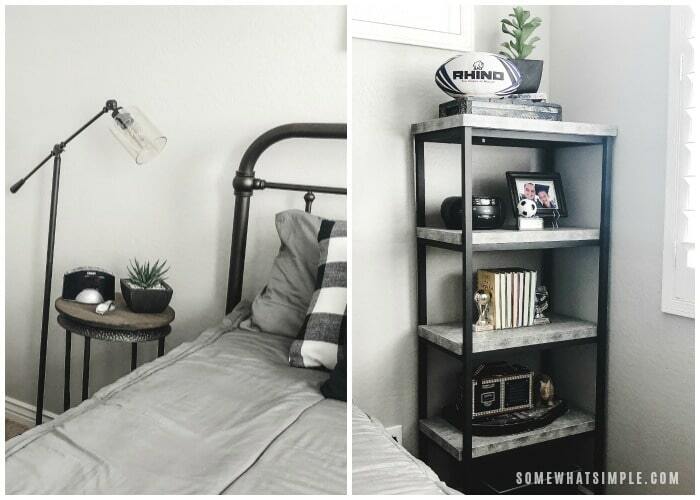 Their rooms look put together without a lot of fuss, and that sure makes me happy! I added some buffalo check pillows and a throw blanket to the bed and I seriously LOVE how it looks! Ryan also chose the softest rug I’ve ever felt to go under his bed. If his bed weren’t so comfy, he might’ve chosen to fall asleep on the floor every night! On one side of his bed I have an industrial standing lamp and a round side table for his alarm clock. On the other side, I added an industrial-type book case that holds his radio, a few favorite books, his trophies, and some other “things” that look neat and tidy. His long black dresser is one we’ve had since he was a baby, but I wanted some fun elements around it that could bring in some texture and dimension. 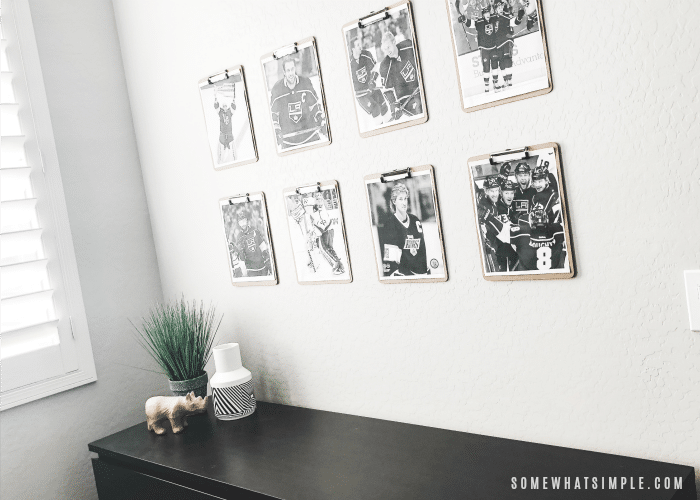 I grabbed 8 clipboards from the dollar store and printed some black and white hockey pictures from my computer. They are mounted on the walls with Command Strips and I seriously LOVE how it looks! What do you think? Do you like Ryan’s Boys Bedroom? black cubby shelf, (similar)with black fabric bins (similar). Painted jersey details on Somewhat Simple. industrial floor lamp, (similar) *The Thornton Floor Lamp shown in my space has sold out. Hi Stephanie, great decoration. I’m sure your little one loved it! We have many customers in London who want to decorate their children’s room, so your post has been a great help and a decor inspiration. Thank you for sharing. Thanks! He absolutely loved his new room! I’m so glad this helped.